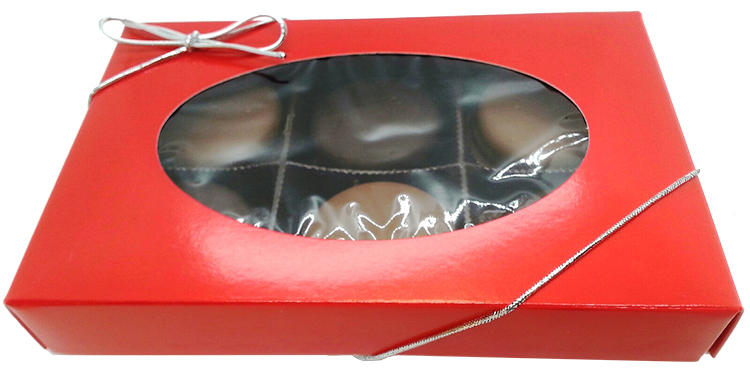 12pc assorted chocolate cookie box contains 6 milk chocolate dipped peanut butter cookies, and 6 dark chocolate dipped peanut butter cookies. Box can be secured with gold or silver stretch band ribbon. Includes 4CP imprinted label or 1 color hot stamp on box.